Situated near the beach, the Poseidon Palace Hotel is an ideal place for those planning for a pleasant and wonderful holiday. 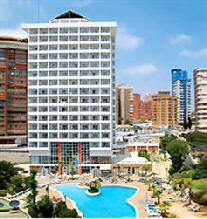 The Poseidon Palace is centrally located and is sited close to the Levante beach, which is only 350 metres away. Guests are offered comfortable accommodation units that are equipped with a host of in-room conveniences. The onsite restaurant serves a wide variety of delicacies for you to relish. You can sip your favourite drink at the onsite bar. The hotel offers elegantly appointed meeting rooms with all the necessary facilities that cater for your conferences, banquets, celebrations and other social events. 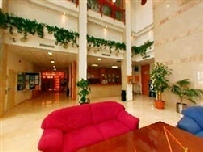 You can also work out at the mini-gym and at leisure take a refreshing dip in the swimming pool.